A few years back, Ono-san received a call from a long-time buyer of his fish. The buyer had just one question: “was the fish we recently received from you caught in the area of Tokyo Bay that is experiencing an outbreak of parasites?” Ono-san (pictured above) immediately responded, “No, the fish was caught in another area of Tokyo Bay.” The buyer thanked Ono-san, wished him a good day, and hung up. No additional paperwork, trace back, or third party audit was requested. Ono-san’s reputation and track record were enough to satisfy his buyer. Is this really how the system works in Japan? Is it effective in preventing illegal or contaminated products from entering the supply chain? What happens in more complicated supply chains? Can this trust-based system possibly work everywhere in Japan? Where are the loopholes or weak points in the chain? In order to answer these and more, we launched Japan’s first FIP traceability pilot as part of the Tokyo Bay Sea Perch FIP. The O2 team spent a day both on board a fishing vessel and at the processing facility to observe first-hand what existing traceability practices were in place. We developed a questionnaire and checklist informed by international best practice (e.g. MSC Chain of Custody standard). Our assessment showed many best practices already in place. For example, a number of key data elements (e.g. volume, date, fishing area, etc.) of the fishery were already being collected through an informal fishermen’s logbook. However, other key data were not collected, such as vessel identification number and species. When we talked to Ono-san’s retailers, we found that the many important data points are not being passed through the supply chain (see figure). 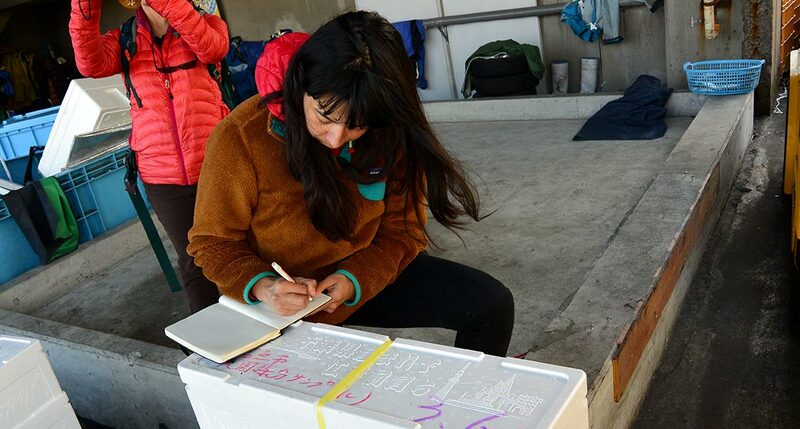 Part of the challenge is that—except for some limited information displayed on the ubiquitous styrofoam containers used to hold and ice the fish—there is no standardized, off-the-shelf record keeping system to transfer this information efficiently through the supply chain. Moreover, there appears to be no system in place to prevent mixing at processing, transport, and further down the supply chain. 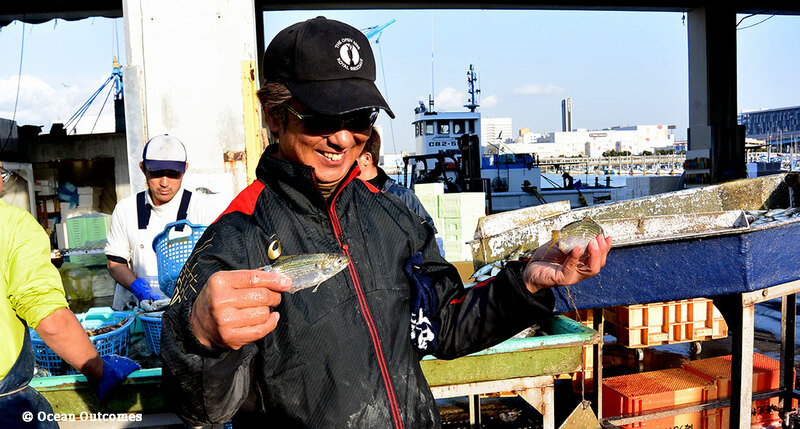 Ono-san candidly admitted that at some point in the past his company used an electronic logbook and a tracking system for individual fish, but these practices were discontinued when the computer software became outdated and the tracking system proved too laborious. While this assessment only tells us the story of one fishery and its supply chain, the themes we discovered point to broader gaps within the Japanese seafood supply chain. 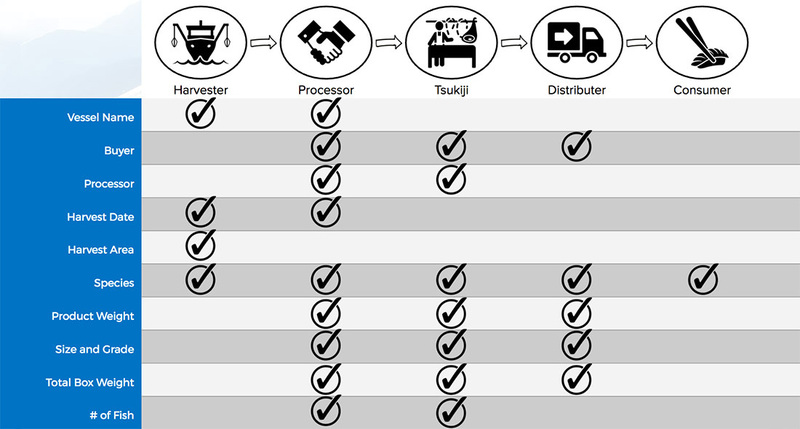 First, Japanese traceability is largely paper-based, informal, and dominated by trust and relationships. Second, systems are highly localized and differ from fishery to fishery and cooperative to cooperative. Moreover, traceability is minimally mandated by government and not typically requested by buyers. But perhaps the most important lesson learned so far is that THIS Japanese fisherman is interested and willing to test drive new traceability tools and approaches if they are designed with his fishery in mind, are low cost, and easy to operate. Stay tuned as we work with Ono-san to co-design such a system for the Tokyo Bay Sea Perch FIP.